At Emergency Plumbing & Solar, we do more than clean drains. We offer numerous sewer and water pipe services. Such services include main sewer line repair, line replacement, and sewer line cleaning – to solve a wide number of issues. In fact, our technicians are thoroughly trained in the replacement and relining of various pipes in both homes and offices. A broken, cracked, or offset pipe could easily shut down your business. If your company relies on a functioning plumbing system, don’t let a broken pipe ruin everything. Your business is our business, and so we aim to provide prompt solutions when you need them most. Industrial pipes are often larger and typically capable of handling heavier loads. They require an experienced technician. Relining is the process of repairing a damaged pipe by inserting a “pipe within a pipe.” Doing so restores both function and flow. An epoxy relining mold is inserted into the existing pipe, creating a smooth wall on the inside. This interior wall will help prevent leaks and further damage to your home and property. Of course, everyone is concerned with cost when it comes to household repairs. We’re in the business of helping people. As such, our pipe replacement and relining services are priced competitively and affordably. We’d like to ensure you receive the most for your money. So, give us a call at any time for a quote. 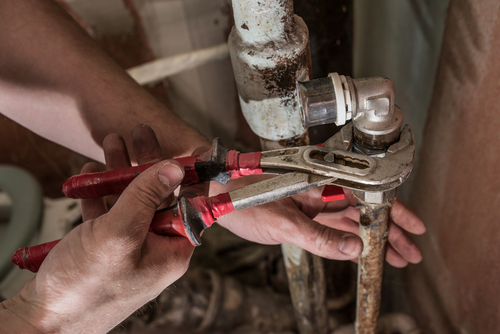 We’ll discuss solutions to your plumbing issues, their total cost, and how best to move forward. It’s that simple! If you suspect an issue with any pipes in your home – water or sewer – then give us a call. You can reach Emergency Plumbing & Solar today by calling 808-691-9309. Our technicians are available to tackle any repair or replacement gig you need now! Pipe Replacement & Relining Overall rating: 5 out of 5 based on 10 reviews.